How and why did 49thShelf.com get started? Canadians are passionate about their culture, from music to food to books and film (and much else!). At the same time, our cultural productions are sometimes overshadowed by the impressive output of our neighbours to the south—especially in bookstores—simply because of marketplace dynamics. Rather than lament this, we took it as an opportunity to create a massive online collection of Canadian books, one fuelled by Canadian publishers of all sizes, across the country, and one energized by a vibrant blog and avid community of supporters. And it happened. How do I get started on 49thShelf.com? We recommend joining us on Twitter and Facebook, too. Lots of 49thShelf.com conversation happens on both platforms. If you have any questions at all, please write us at hello@49thShelf.com. We will get back to you as soon as possible. 49thShelf.com is based on the largest ever collection of Canadian books ever assembled (more than 100,000 titles)—books from all types of author, publisher, and genre. So it’s got pretty great search functionality. One of the most-used features is the ability to make and check out reading lists—lists of favourites, lists by theme, genre, or whim. Our About page has some sample lists for you to look at to see what we mean here. There is a list (or many) to capture everyone’s fancy, and you’ll have fun making your own. Our blog is chock-full of ideas, both from our editors and from guest authors and experts contributing their own picks. If you’re looking for books from a particular region, our Read Local Map is a great place to start. You can add books to this map, too, if you’re a member. I’m an author: how do I add my book to the site? The title listings on 49thShelf.com are based on publisher-supplied data for each book. So the way to add, update, or otherwise revise any information for your books is to have your publisher(s) submit updated files with your changes to the national database that we use as the data source for our title lisings: BNC BiblioShare. There is no charge to have books listed on the site and new data submitted by publishers is imported automatically. 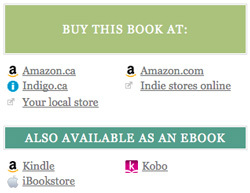 We exclusively import Canadian-authored titles from BiblioShare for our title listings and are pleased to list all types of books, including eBooks, from all publishers, including self-published titles. If you don't have an ONIX data file for your book as yet, then you may want to make use of a new Webform that is available to both authors and publishers and can be used to input data into the system. Please see BookNet's Webform manual for easy-to-follow instructions and additional background. Any data that you add to the system via the Webform will automatically be imported to 49th Shelf. Please take care to add the country code for Canada ("CA") in the Contributor section in the form as this is our main filter for our imports from the database—that is, we exclusively import Canadian-authored titles. Why can’t I buy books on 49thShelf.com? As much as we hope 49thShelf.com spurs sales of Canadian books, we prefer to support bookstores across the country, not compete with them. The way the site works, users can choose where they’d like to buy their books from a handy list of choices that link directly to retailers’ sites on every book page. Who or what decides what books get featured on the homepage and other prominent places? Our editors—though we get our ideas from a wide list of influences, including members’ and contributors’ reading lists and feedback. 49thShelf.com is a project of the Association of Canadian Publishers (ACP), in partnership with the Canadian Publisher's Council, and it has received significant development funding from the Department of Canadian Heritage and the Ontario Media Development Corporation (OMDC). Amazon.ca is currently the lead sponsor for the project. Where do I go to control my privacy settings? You can go to your account page, which you can find either in the bottom panel or in the top right-hand corner of your screen once you’ve signed in.